Little more than three years ago Elsevier, one of the world’s largest academic publishers, took Sci-Hub to court. It was an unfair battle from the start. With a net income of more than $1 billion per year, the publisher could fund a proper case, while its nemesis relied on donations. Elsevier won the case, including millions of dollars in damages. However, the site remained online and grew bigger. Looking back today, Sci-Hub and its founder Alexandra Elbakyan may very well be the moral winner. This week a group of eleven prestigious European research councils announced that they have agreed to give Open Access a massive push. “By 2020 scientific publications that result from research funded by public grants provided by participating national and European research councils and funding bodies, must be published in compliant Open Access Journals or on compliant Open Access Platforms,” they note. In other words, this publicly funded research can no longer be locked away behind expensive paywalls, which mostly benefits wealthy publishers. It should be as open as…Sci-Hub. This is a massive deal in academic circles. Traditionally, many researchers preferred “high impact” journals as these provide more prestige. However, many of these are not open. This new agreement changes this dynamic. More high-quality research will appear in Open Access journals, which increases their impact and appeal. It’s a major achievement that can be credited to a steadily increasing group of researchers who have promoted Open Access and pushed against copyright’s stranglehold on science. While there is no concrete proof, there is reason to believe that Sci-Hub played a major role too. Not least since its open nature is widely embraced by researchers and authors around the world. 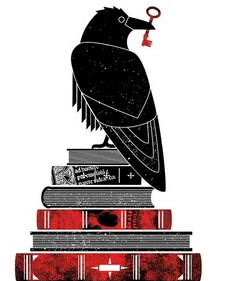 That brings us back to Sci-Hub’s founder, who recently published a detailed biography. When the Elsevier lawsuit was first announced TorrentFreak was the first English publication to get an interview with Elbakyan, who made it clear that she wouldn’t cave in to the pressure. “Everyone should have access to knowledge regardless of their income or affiliation. And that’s absolutely legal. Also the idea that knowledge can be a private property of some commercial company sounds absolutely weird to me,” she said at the time. While Elbakyan is often portrayed as a pirate, many sympathize with her ideas. It certainly doesn’t seem fair to punish researchers by denying them access to knowledge, simply because their University can’t pay the subscription. In fact, copyright in some cases prevents researchers from accessing their own publications, because these are also locked behind a paywall. “The funniest thing I was told multiple times by researchers is that they have to download their own published articles from Sci-Hub. Even authors do not have access to their own work,” Alexandra previously said. This may sound bizarre, but it’s true. For years it has been standard practice to have researchers sign an agreement to transfer their copyrights to the publisher. Without earning a penny, they were ordered to sign away the rights to their work, only to see it disappear behind a paywall. It’s this practice that Sci-Hub and Elbakyan are revolting against. And as this week’s news shows, that hasn’t been without success. While publishers won’t like it, we would argue that there certainly is a Sci-Hub effect on academic publishing.